Aaron Finch has run into some good form. A SECRET plan to dump Aaron Finch for the cricket World Cup and parachute Tim Paine in as captain has been squashed by the opener's remarkable form turnaround. 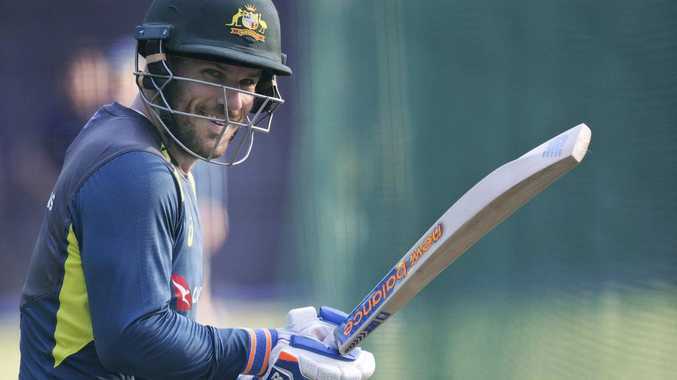 Finch, 32, blasted a career-best 153 not-out on Monday and is certain to become just the eighth player to lead Australia at a World Cup. That knock delivered Australia their fifth consecutive ODI victory with Finch averaging 97.3 across that run. The clever captain has led Australia to a 2-0 lead against Pakistan and can secure back-to-back series wins on Wednesday night. But before that golden run Finch endured a horror home summer and then two ducks among his five white-ball innings in the tour of India. With his form an alarming concern and with no standout captaincy candidates with Steve Smith and David Warner ineligible, Cricket Australia discussed reviving Test captain Paine's ODI career. That option would've also solved the wicket-keeping conundrum with vice-captain Alex Carey yet to justify the selectors' faith with a big score. While Carey is favoured to wear the gloves at the World Cup, Matthew Wade and Peter Handscomb are still being considered. Chairman of selectors Trevor Hohns hinted at the Paine back-up plan although that was largely lost as it was announced Smith and Warner would skip the series against Pakistan to play IPL. "There's pressure from a couple of wicket keepers back home," Hohns said in Ranchi when discussing Carey's position. "We have our Test keeper of course, he could be in consideration, there's Matthew Wade who could be another consideration." 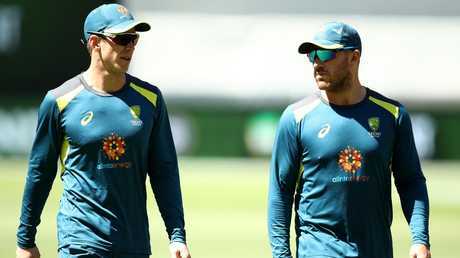 Australia's top order is firing but it is unclear who will open in England out of Finch, Usman Khawaja and David Warner. Using Finch at the top would ensure a left-hand right-hand combination. 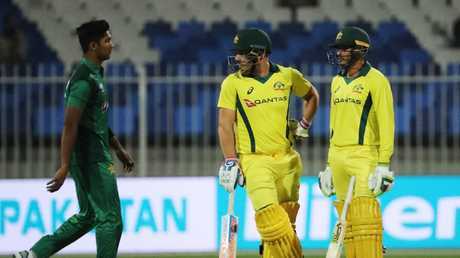 Khawaja is in the ODI form of his life with 407 runs from his past five games while Warner marked the ball-tampering anniversary with 85 (53) in the IPL. Josh Hazlewood (back) is unlikely to make the 15-man World Cup squad with his main focus on the Ashes series in England. But if rising star Jhye Richardson (dislocated shoulder) is ruled out of the World Cup then Australia might push Hazlewood to take his place. Spinner Nathan Lyon labelled Finch's unbeaten 153 the "most controlled innings" he's played in a long time. 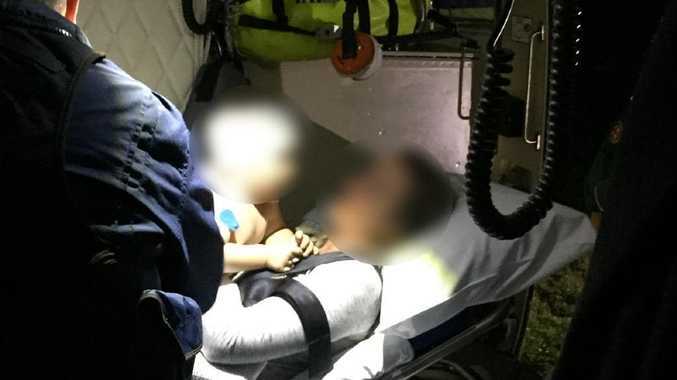 "Hats off to him, he's been working his backside off," Lyon said. "For him to bat the whole innings and chase down 280 in my eyes shows a great leader. "I know he probably hasn't had the runs over summer that he would've liked, but he's been working hard with (batting coach) Graeme Hick and (coach) Justin Langer. "That's (Warner and Steve Smith returning) just going to cause massive headaches for our selectors heading in the World Cup. It's a great problem to have." Cricket Australia yesterday appointed Tasmania and Hobart Hurricanes coach Adam Griffith assistant coach for the World Cup.